We’ve not been in Valencia for long, but a few times, we’ve had to meet people somewhere in the city. 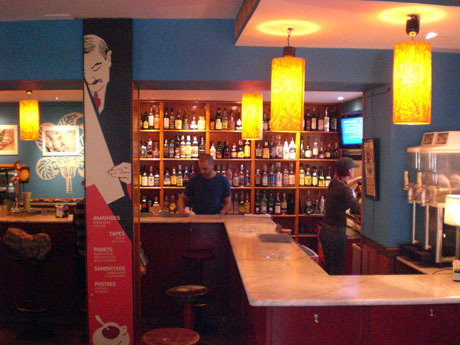 On 3 separate occasions, the person we were scheduled to meet has suggested Café Lisboa in Plaza Dr. Collado. It is extremely central, easy to find, and seems to be one of those spots which all Valencia knows. The plaza, tucked right behind the huge Mercado Central, is a great place to spend a lazy hour or two, eating tapas or drinking a beer with friends. 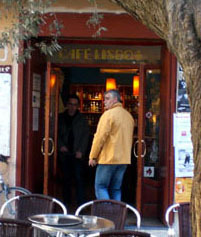 There are a few restaurants and bars lining the square, one of which is the Lisboa. 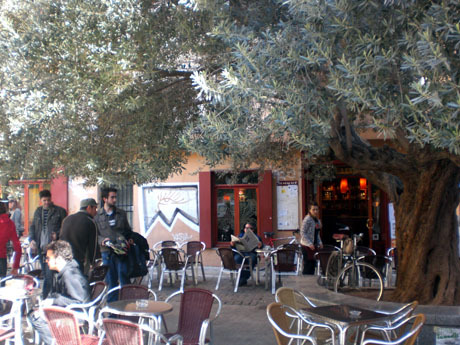 The drinks & tapas are reasonably priced, and with plenty of seating outside & in, this is a great place in the heart of the city. We’ll probably be coming here a lot.